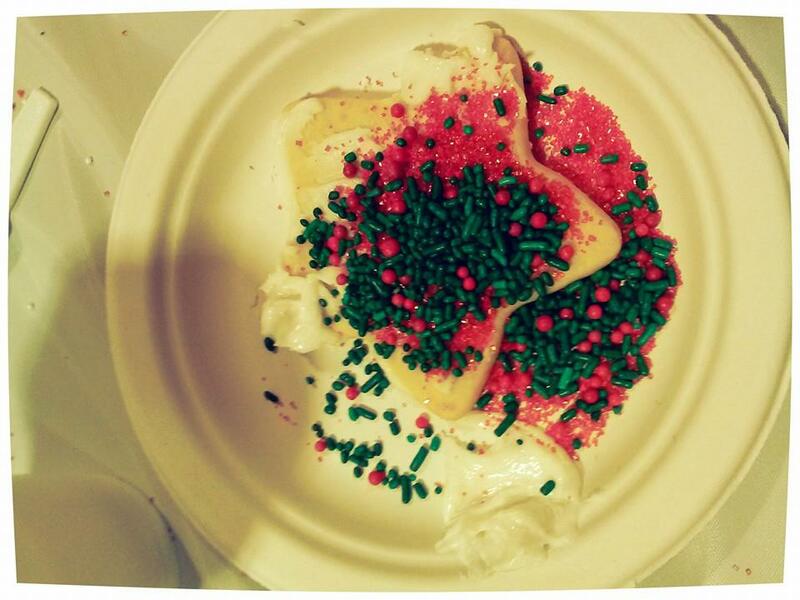 My son’s idea of cookie decorating involves a lot of sprinkles. A. Lot. He would have dumped the entire bowl of teeny tiny candies on the teaspoon of icing had I let him. Seriously. He likes his sugar. Now, this might offend some among you…but…oh well. A sugar cookie without sprinkles is boring. There. I’ve said it. It’s not that they don’t taste yummy. They’re just plain. Beige. Eh. Hurl your stones this way if you’re upset. Sprinkles make a sugar cookie beautiful. Sugary. Special. Attractive. Lavish sprinkles are even more eye catching (although more difficult to eat, as evidenced by the pile of sprinkles around my son after he munched the cookie). I’ve been thinking about truth lately. How something can seem absolute to one person and questionable to another. How we communicate what we believe to be true. How polarizing some truths are. That what we believe to be true can build walls between us. I wonder if truth all by itself is missing a HUGE ingredient. And I wonder if we sprinkled love on truth, what difference would it make? Love makes truth eye catching (although sometimes a little messy). Special. Renders it beautiful. Mingling, the two can be attractive. When love is missing from truth, it’s just a spouting off of someone who wants to be right. Clang the cymbal, crash the gong. Nobody’s going to hear it as more than noise. DUMP the love in with your truth. Because lavish love is essential for our souls. Our livelihood. It’s what we celebrate at Christmas. The Christ child didn’t come with a pocket full of truth alone. He came with abundant love. Lavish love to be poured out on us over and over and over. So much love that we can afford to pour it out on each other. When we sprinkle truth with love, that love may not be a color we like, a love that makes us angry or convicts us, a love that stands, that sacrifices and asks you to sacrifice too. I love the line: ‘Love makes truth eye catching…’ Beautifully said. Thank you, Gail! Have a wonderful Christmas, my friend! Same to you Susie … we’ll have to have an Aztec Chai together in 2014.